Kimberley was named after the First Earl of Kimberley, a British Liberal politician by the name of John Wodehouse. The first settlers to Kimberley arrived in the mid-1850s. Initially children went to school in a small log school, sitting on planks. By 1872 the seventy pupils needed a larger school and so the community built a white clapboard frame building. 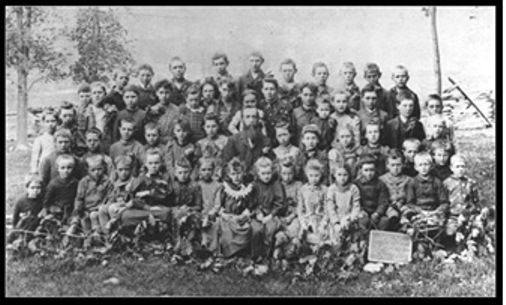 In 1910 a large brick school serving Kindergarten to grade 10 was erected. It served until 1956, when the students began to be bussed to Flesherton. The building still stands at 235325 Grey Road 13, and now houses Ferguson and Ferguson, architects. The first church in Kimberley was a Union church, with any denomination being allowed to worship. A Methodist church was built across the street in 1885. This later became a United Church, until the 1970s when the church was sold and became a private residence. 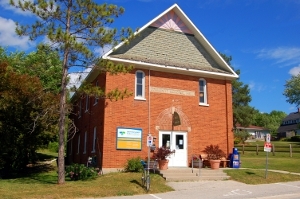 In 1921 the Union church and hall was mostly demolished, and the current Kimberley Community Hall raised in its place. Dedicated to those who had given their lives during the First World War, it was completed in 1922 and now houses the public library and meeting space. Margaret Burritt (1867-1954), the grandmother of local historian Marilyn Hammond, was the first librarian. The first sawmill on the Beaver River in Kimberley was erected in 1861 by John Hurlburt. In 1872 John and William Plewes operated a gristmill and an apiary until it was all destroyed by fire in 1875. The Plewes built the present day mill in 1877, which is now a private residence. Later that same year the millrace pond was dug, which remains behind the Kimberley Hall to this day. The mill operated until the 1950s, grinding flour, oatmeal and eventually alfalfa meal, as well as housing a store. The Hammond Store, built in 1894, also operated as the post office until 1925. 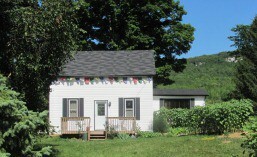 This building is now a private residence almost directly opposite the Kimberley Community Hall. By the late 1800s, Kimberley had a brick store, and a butcher shop, which delivered meat by a specially built wagon, fitted with ice trays. Mrs. Curry, the butcher’s wife tended to the store which had cured and salted meats, as well as tallow sold in large cakes for waterproofing leather boots and shoes. Later a grocery store with a barbershop arrived. A bank opened in 1903 and operated until 1923. A gas station and creamery have also come and gone. At one point there were three blacksmiths, two woodworking shops (building carriages, farm sleighs and wagons) and other businesses including a restaurant, a shoe store, a tailor and a dressmaker. There were two hotels at opposite ends of the street – the Traveller’s Lodge was a temperance hotel, while Condy’s hotel served beer and liquor until that was stopped by the local Temperance Organization. The Kimberley District Co-Operative operated from 1946 to 1973, and later the building operated as a ski shop and a series of restaurants. It is currently the office of Sea and Ski Realty at 235296 Grey Road 13. In 1903 residents of Kimberley came together to pipe water to their homes. Ten shareholders supplied money and labour to construct a concrete water tank near two springs at the base of the east mountain and to lay pipes in a hand dug trench to the village. The spring was located on Mrs. Matthew Ferguson’s farm. By 1910 the ten families in Kimberley enjoyed the luxury of fresh spring water running into their homes. In 1912 water was offered on a yearly rental basis of $8.00 and the first three renters came on board. Water is still collected from two springs, treated in a modern treatment plant and piped to the residents of Kimberley. In the 1920s Kimberley was reportedly the site of a unique and likely noisy activity. The Hudson Motor Company arrived each summer with professional drivers and engineers, and used the steep hills on each side of the valley to test their automobiles. Many farmers in the Kimberley area had a passion for breeding and showing poultry. For two decades poultry breeding became something of an obsession for local farmers, with many acquiring large incubators. 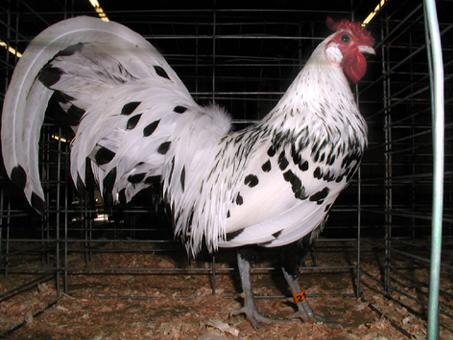 The poultry represented at the shows – some of which are now endangered heritage breeds – had colourful names like Barred Rock, Buff Orpington, Rhode Island Red, White Wyandotte, Silver-Pencilled Wyandotte, White Leghorn, Plymouth Rock, Black Minorca, Cornish, Bantam, Sicilian Buttercup and Silver Spangled Hamburg. A number of these heritage breeds are threatened or endangered now. The birds were not just for show – many of the two-day poultry shows ended with a fowl supper! One of the “chicken cranks” was Thomas Camack of Shadynook Farm. He was the uncle of Edith Camack who lived in our house for more than half a century. Kimberley also has a baseball connection. William Harris (1874-1958) was a notable carpenter in the village. In addition to making wagons, axe handles, sleighs and other implements, he reportedly made oak baseball bats for the World Series games. Many of us have fond memories of the Talisman Ski Resort that was first opened in 1963 in Kimberley. Closed due to bankruptcy in 2011 and currently vacant, the buildings are being redeveloped as an upmarket hotel and spa. The private Beaver Valley Ski club continues to operate near Kimberley. In more recent history, CBC radio personality Matt Galloway was raised in Kimberley, moving here at the age of eight. His mother, Judy, grew up on a farm nearby. Much of this history of the area has been gleaned from Split Rail Country: A History of Artemisia Township by Mildred Young Hubbard, Born Beneath Old Baldy by Marilyn I. Hammond and from the Sea and Ski website.